For many of us, Mondays aren't exactly something we look forward to. One exception is this coming Monday, Aug. 21, when nearly everyone in the United States will be able to step outside and witness a total (or partial, depending on where you live) solar eclipse. But first, a word of caution. While watching the moon completely — or semi-completely — cover the sun is sure to be a momentous celestial occasion, doing so without a plan could be downright dangerous. "Looking into any type of eclipse — partial or total — poses serious risks to your eyes," says Anna Kitzmann, M.D., an ophthalmologist at Mayo Clinic Health System in Fairmont, Minnesota. "You could permanently damage your retina or even cause blindness." 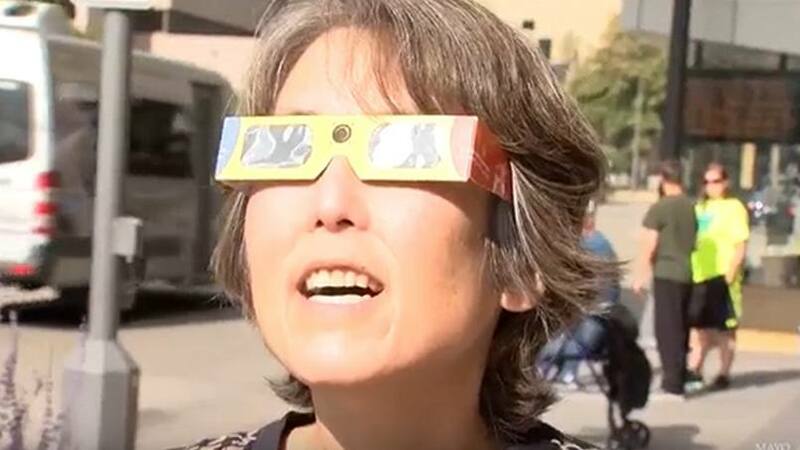 To keep that from happening, Dr. Kitzmann recommends getting yourself a pair of official International Standard Organization 12312-2 eclipse glasses or a personal solar viewer to take in the show. "Regular sunglasses and homemade solar filters are not safe to use" to view the eclipse, Dr. Kitzmann says. Other safe options for eclipse viewing, according to a Mayo Clinic Minute segment, are "pinhole projectors and the darkest welding filters, specifically welding shade number 14," says William Brown, O.D., Ph.D., an optometrist at Mayo Clinic's Rochester campus. "I liken it to a camera flash," Dr. Brown says of staring directly at the sun with unprotected eyes. The "after-image" you get is because the rods and cones in your eyes need a chance to recover from the flash. "When you're staring at the sun, they don't have a chance to recover, and they may totally be lost due to the damage that can occur from looking at the sun." To ensure your eyes are protected, Dr. Brown recommends consulting the American Astronomical Society or your local library, planetarium or science center for "a listing of reputable vendors of approved safety eclipse glasses." However you watch, please do so safely. Until then, be the sun in our sky by sharing your comments below before using the handy social media tools atop this page to share this story with others.